Wow this outfit is so perfect! First of all, I LOVE your necklace. Second, I like how all of the colors in this outfit are so warm. The brown and orange... and it's great! One of the things that keeps me coming back is that you are just yourself. You don't have c/o beside most of your wardrobe items....you're just really really creative and I like that! Having said that, inspirational slumps are a fact of life for the creative mind, eh? You know, every time you say you're in a slump and post an outfit, you look amazing. 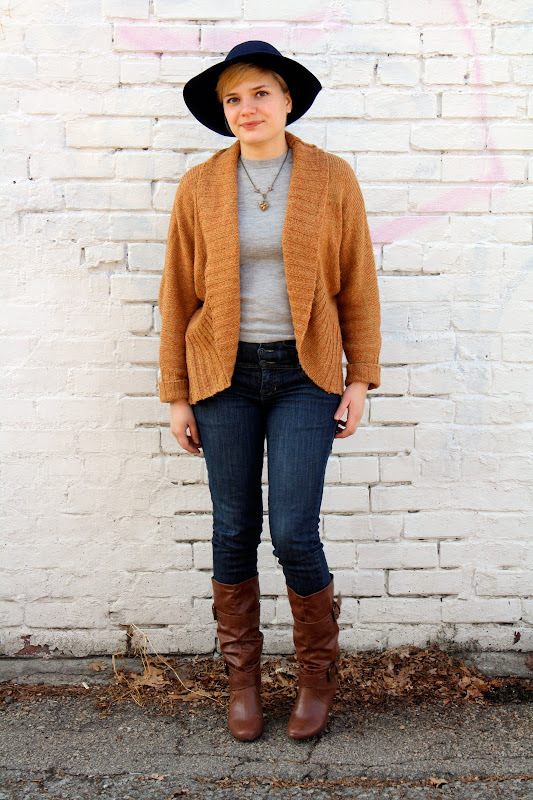 This outfit looks great, and I'm enjoying seeing you remixed this cardigan. 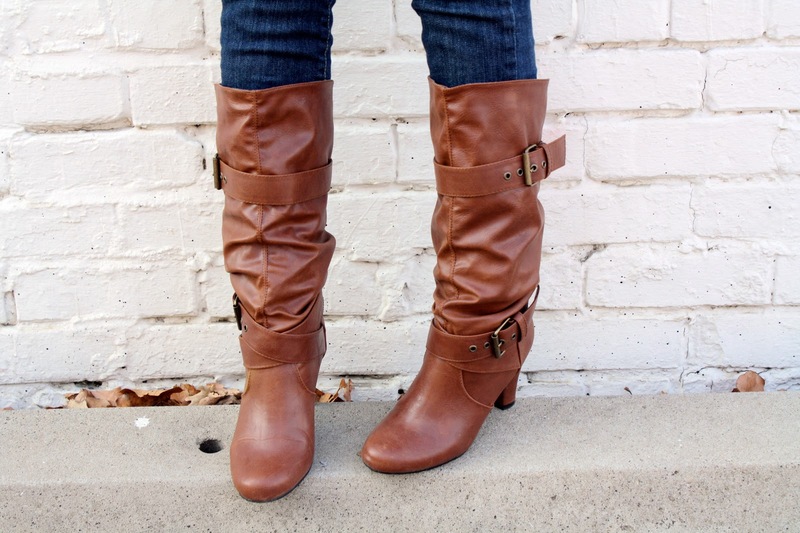 Also, those boots are great. I never have any luck with shoes at Target. I love the boots! They are gorgeous! 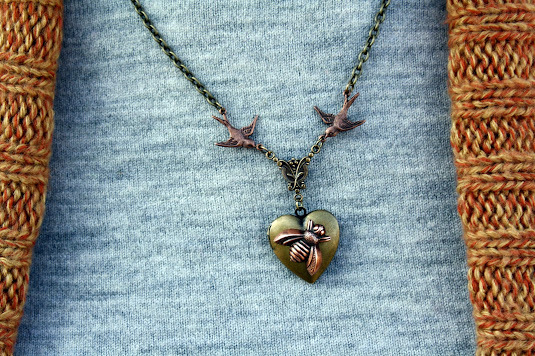 The necklace is so sweet! 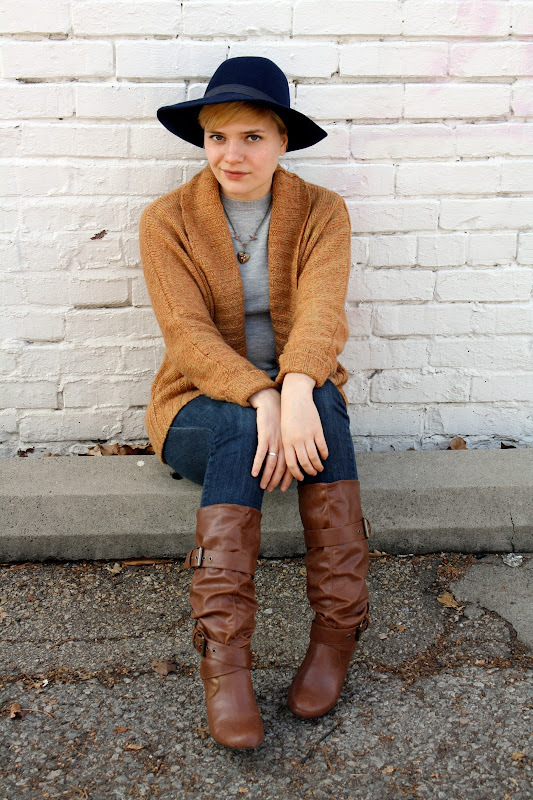 Love your cardigan and boots, they look fabulous! 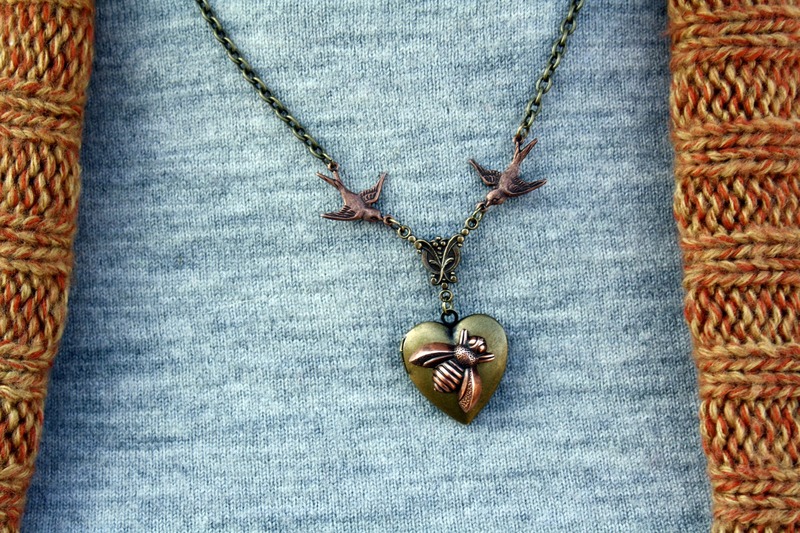 Cute necklace! I love your whole outfit, especially the sweater. It looks so cozy yet chic! i actually borrowed those target boots from my friend to wear last new year's eve, so your post is strangely bringing my year to a close!